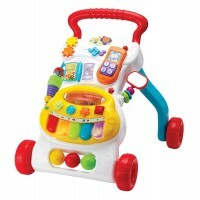 Kid powered Gearapillar rolling floor toy comes with 4 whimsical spinning gears to entertain babies and tots. 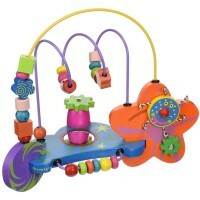 Connect the colorful gears to create a moving caterpillar! 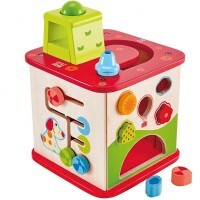 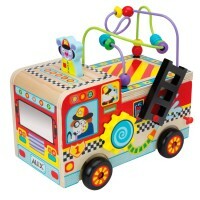 Gearapillar Spinning Gears Rolling Baby Toy is baby's first gear set created by Kidoozie. 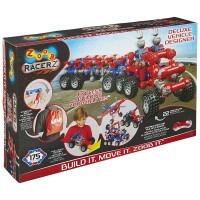 This adorable rolling caterpillar comes with 4 interchangeable spinning gears that easily click together on a wheeled base. 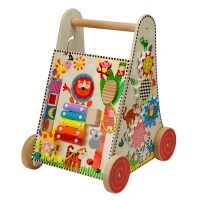 The chunky gears features whimsical designs, bright colors, and easy construction idea. 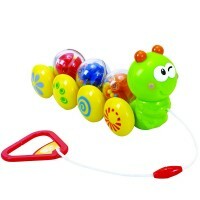 Put the gears on wheels and roll this smiling caterpillar anywhere you like! 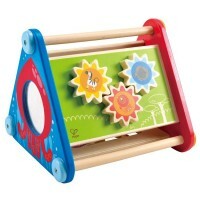 Dimensions of package 4.35" x 4.83" x 13.8"
Write your own review of Gearapillar Spinning Gears Rolling Baby Toy.